Beetlejuice: The Complete Animated Series To Be Released Onto DVD - Box Art and Details! If you are a big time Beetlejuice fan, then you will certainly be excited about this news. Know for its witty dialogue, tongue-in cheek humor and satire-filled plots, this quirky series was based on the highly popular 1988 Tim Burton film of the same name. 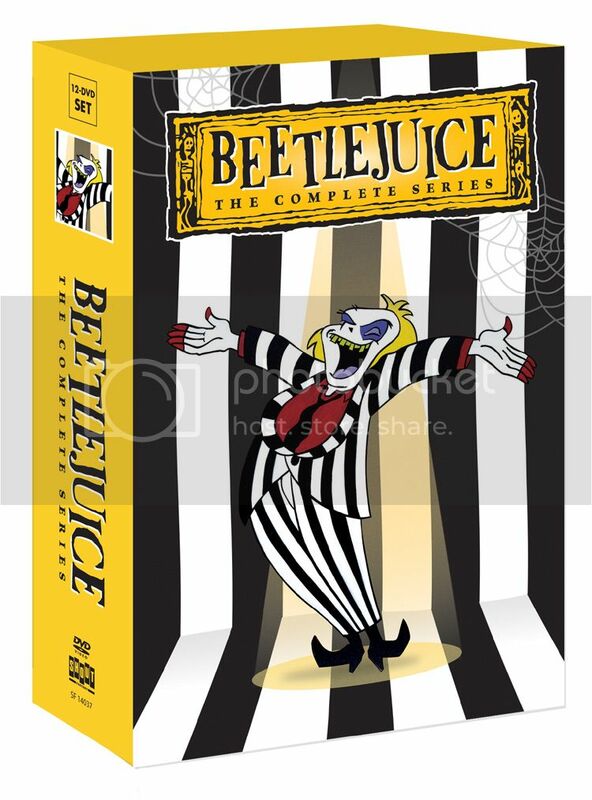 Beetlejuice: The Complete Series features the escapades of Lydia Deetz, a teenage goth girl with a love of all things macabre, and her best friend Beetlejuice, an undead, bug-eating prankster from the Netherworld. The only way Beetlejuice can vit the Outerworld (also know as the town of Peaceful Pines) is when his name is repeated three times, but unfortunately for him that is the same way to send him back!